Need Some Help Going Vegan? If you're like most people who go vegan, you might have imagined things would be (pretty much) the same as they've always been, right? Bring it all home, unpacking your groceries and placing them in their usual spots in the cupboards, freezer, and fridge. It doesn't take long to realize your old routines aren't going to work with your new lifestyle. Because most of the food you're used to buying isn't vegan. You no longer know which part of the store has what you now need. And what are all of these strange new ingredients anyway? What exactly are you supposed to buy when you go grocery shopping? And what do you do with it all when you get home? And what about those crazy bulk bins filled with various foods like rice and beans and nuts, do they apply to you now? Your trusty old routine seems to have vanished into thin air. And to add insult to injury, your kitchen might be stuck in the past, "ready to go" for your old non-vegan diet, but what about now? If you've gone vegan and find yourself overwhelmed and confused now that you've dipped your toe in the proverbial plant-based waters, you're not alone. The very best place to begin is at the beginning! You need to get all the basics under your belt of working with whole foods, as well as some quick and easy tips to preparing your kitchen for this fun and satisfying adventure. It's important for you to learn how to stock your cupboards, your fridge, and your freezer with ingredients that will support your new vegan lifestyle. You also need to keep it all organized and ready to go at a moment's notice. And you need just a few key kitchen tools and appliances that will make your vegan cooking experience easy, fun and stress-free. We've all seen those kitchens. You know what I mean. Cupboards full of boxes upon boxes of half-used processed goods mixed in with cans-and none of it gets used. Many people don't know how to cook with what they have on hand; they either heat frozen foods, or follow instructions (we call recipes) which require them to go out and purchase specific ingredients needed to make a particular dish. In other words, their kitchen isn't always stocked and ready to go. And because they don't know how to stock a kitchen, they never learn how to cook in the moment (which is the key to getting in and out of the kitchen and on with life!). It's a feedback loop that makes people think they don't have the talent to cook creatively and on-the-fly. But the real problem is that they never developed the skills! And since they lack these skills, they lack the knowledge about how to properly stock a whole foods natural vegan kitchen that is ready to go when they are. Look at the photo above. You can't easily cook with a pantry that looks like this. Gain confidence that you are prepared for both everyday cooking and any emergency life throws your way. You need to revamp your kitchen so it's usable. And affordable, too, which means learning how to buy in bulk, how to store it properly for the short- and long-term, and most importantly how to use these new ingredients in your everyday cooking. With just a few do-able key changes, your trusty old routine (and kitchen) can get up to speed with your new vegan goals. Hi guys! Sassy here, and thanks for visiting! 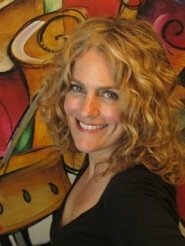 I'm a long-time vegan chef, author, Nutritional Consultant, and publisher of VeganCoach.com. Back when hubby Jeff and I went vegan, we didn't know anybody who could show us the plant-based ropes. It was incredibly challenging, especially to THIS cook who really didn't know my way around ANY kitchen, let alone one without any animal products! It took a long time to find my way. The going was VERY slow. One recipe at a time, week after month after year. But honestly, sometimes I didn't feel like I was really making progress. Sure, I could cook a recipe with the best of them, but I wasn't any closer to learning how to do things quickly OR easily! I knew something was wrong with my approach to vegan cooking, I just didn't know what it was! It wasn't until I had been eating a plant-based diet for about 7 years (!) when I finally figured out the basics that I had missed from the get-go. I really wish someone had been there for me from the start -- it would have saved me so much time and effort! So many people over the years have come to us with this exact challenge I had back then. 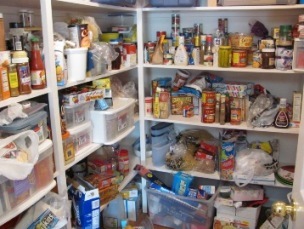 Disorganization in your kitchen pantry, cupboards, drawers, fridge and freezer. If your kitchen isn't organized and stocked with the vegan ingredients you need, you'll find it difficult to cook vegan meals properly and easily. Fear of failure to meet up to the expectations of this commitment you've made to yourself. I think most of us can relate to this at one time or another-wanting to go vegan is one thing, but doing it can sometimes be another. Fear of change. Change is difficult! But you don't have to do this alone. You want to eat plant-based for a reason. Don't let fear or confusion get in your way. 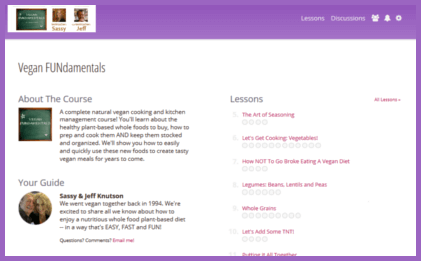 I'd love to help you learn all the important basics of cooking plant-based! In fact, I've created an online class with all the fundamentals I wish someone had taught me when I first went vegan. For instance, what are the most important ingredients to buy when you go grocery shopping? How do you store them and clean, prep and cook the ingredients once you get them home? Which kitchen tools work best with a plant-based diet? Which herbs and spices and flavorings are needed and how can you use them properly to season your food so your meals are never, ever boring? When you join me in Vegan FUNdamentals you'll learn about the most important ingredients every vegan kitchen needs. You'll become super familiar with the basic and unprocessed whole foods you need to have in your daily diet. We'll also cover the special tools that make cooking easy and enjoyable. Then, we'll get cooking as I show you how we create a rich variety of flavorful dishes every single day using simple tips and techniques for easy, nutritious, and tasty vegan cooking with a focus on using your own creativity in the process. 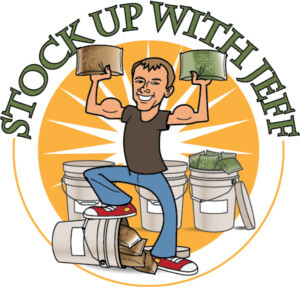 We'll also teach you how to buy in bulk to keep costs down, as well as how to store it all for the short- and long-term. Having a bulk supply of foods can make the difference in how well you live when times get tough too. Everyone should have a supply of food, take the time to organize it, rotate their supply, and perhaps most importantly, learn how to use it. If you're new to plant-based cooking, or you've been at it for a little while and you feel you never really learned the basics, then this is the class for you. "This course will change your life! It will make you a confident vegan cook and save you time and money in the kitchen. Before this class, I wasn't sure what I would make for our main meal of the day. I had some things going bad in the fridge. Now I have a better idea of what's going to show up on our plate each day. Plus, I'm not wasting as much produce so I'm not buying as many groceries. This is definitely a well-spent investment of time and money and your long-term health, which is priceless." Step by step we'll cover everything that our experience over the years taught us since we switched to a plant-based diet back in 1994! These tips and techniques have stood the test of time and have been perfected! And it's what we'd love to show you today. By the end of the class, you'll be able to prepare whole food plant-based meals that you'll be proud to serve because they'll be based on the foods and flavors that you and your family love. Believe me, if I can do it ANYBODY can. And I'd love to show you everything I know about getting organized with the vegan ingredients and kitchen tools you need, establishing a new routine that works for even the busiest people, and properly cooking simple whole food-based meals that won't break the bank. 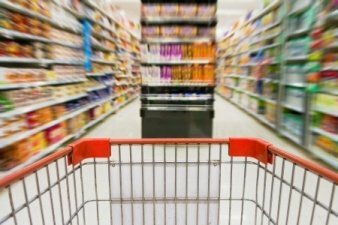 And with the addition of affordable foods you can easily purchase through the bulk department, you'll be prepared not only for the everyday but any emergency that life has in store for you. Use everything you've learned throughout the class to explore this introduction to the art and skill of improvisational natural vegan cooking. This means you'll be off and running cooking FREESTYLE quick and easy meals. "Before I took this class, I cooked sporadically and ate out quite a lot. 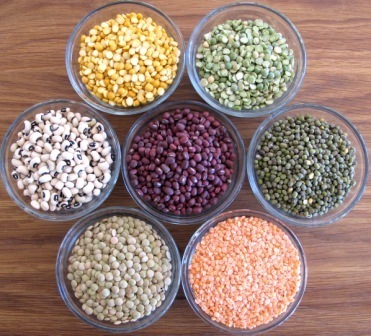 Now I cook beans or grains in advance so that they can be ready to be used in any dish. I like that I have a wider repertoire of seasonings and flavourings to use. This course gives you the basics you need to do recipe-free cooking. It is comprehensive so I'm thankful that I can keep coming back to review the material. A non-threatening way to get started!" "My routine is changing to have ingredients ready to put together quickly, shopping habits are more efficient in focusing on fewer alternatives and using flavourings more. I feel a lot more organised in the kitchen and have a positive place for everything. As a result efficiency has increased, mainly in the "stocking up" area which leads to less waste—always a bonus!" "Before Vegan FUNdamentals, I didn't buy a lot, as in bulk online or at the store. And I didn't know how to store the food properly. I now have on hand in the pantry or freezer most of the basic foodstuffs I need to put together a great vegan meal. "You gave me the confidence to experiment and create fabulously delicious food without too much effort. Your style of teaching is in my humble opinion fantastic; so easy going without a lot of ego getting in the way." You'll find this video helpful so you can learn a little more about the type of cooking we'll teach you as well as just a few of the tips and techniques you'll learn in this online class. In a nutshell, Vegan FUNdamentals is a beginner's cooking class that teaches you everything you need to know to cook easy plant-based meals. On-the-fly improvisational recipe-free cooking is what we've always taught in all of our courses and across our entire VeganCoach.com website. This cooking course is devoted to laying the very foundation you need in order to pull it off day in and day out. Because once you get the basics under your belt, you can apply them to absolutely every dish you make, freestyle or not! "This is a very comprehensive course but also good for beginners. I really enjoyed it. The videos were super helpful. I feel like I now have the tools to prepare whole food ingredients and pull them together. If you want to cook freestyle, without recipes, while being creative and having fun, this is the class for you." "This course was thoroughly organized and covered way more than I expected. Kudos for the soup to nuts approach that got our kitchens ready and then pulled it all together at the end. This course and the resulting changes have made me feel more confident in making healthy, well-balanced meals. Also, I actually ENJOY cooking now. A DEFINITE change from before!" "This course gave me the knowledge and confidence to be able to prepare meals that are healthy and nutritious using recipes I make up as I go along. I can use whatever I want to make a meal. I now have what I need already in my kitchen ready to go. When I want to eat, I take some ingredients, add some seasonings, taste to see if it is how I like and adjust the flavors to be more how I desire." You'll love our cooking videos! Throughout the entirety of the course you'll find 18+ instructional videos so you'll have a visual that will help make the learning curve a LOT easier for you. And since you'll own the class, you'll also own these videos so you can refer to them again and again over the coming weeks, months and even years -- give them a peek whenever you have a question or need a refresher. "I love the videos. I watch them over and over. I also appreciate baby steps. You have broken things down to their most basic parts to put together at the end. I love, love, love that I can come back again and again to repeat the course." In Vegan FUNdamentals we take things one step at a time. The course is held in our user-friendly online classroom where you'll be joined by other students on the same path as you. Our students tell us time and time again how much they love our classroom! It's fun to use and encourages you to stay involved and motivated. Each week a Lesson is unlocked and made available to you in our classroom. This weekly "drip" of information is THE KEY to you learning and implementing each week's lesson. And that's how you'll learn. Step by step; goal by goal. And since you're learning one little bite at a time, you retain what you learn. "I loved the wealth of knowledge shared and the videos showing exactly how ya'll do things. I'm a visual learner and it was wonderful. And all taught kindly, no intimidation. Everything put out there and the choice is ours." "I thank you from the bottom of my heart. What you have created is literally a life saver. A savior of health, money and time. These are things we all need." You'll find a Discussion at the end of every Lesson created to bring out any questions you have about the topic we've covered for the week. These course-wide Discussions are a place for us to connect which helps you stay on track. This means I'll be there every step of the way to answer questions and offer suggestions and encouragement as needed. Think of it as private coaching without the cost. Plus, you can read the questions and comments students before you have made which helps to propel your learning experience even further. It's not unusual for friendships to form as students respond to questions or comments someone else has made. You'll feel supported in our friendly forums. And because you'll always have access to your course and our Discussions so you can come on back any time to retake the course and ask for clarification about something. Because you WILL be learning a lot, and you will likely have questions (just as you would with any class you have taken). It took us years to find a classroom that can deliver the experience we know you want and need with only as much time commitment as you want to give. It's never overwhelming! Join your fellow students to ask questions about what you're learning, share your comments and ideas, and even help other students out with your own unique experience and knowledge. Our students love our Discussions and find them to be incredibly important to their learning experience. These VIDEOS and fun downloadable eBOOKS will help you along your journey during the course -- and after, too! Learn how to bring mouth-watering flavor to your meals through flavor matching, balancing and enhancing. You'll learn about the 6 Taste Categories we recommend you focus on AND how to bring them into every meal you make. In fact, we take it a step further with 6 SUB-categories of flavor, too (like toasted, roasted, aged and smoky)! This gives you many ideas that you can play around with that keeps every meal exciting and flavor-filled! 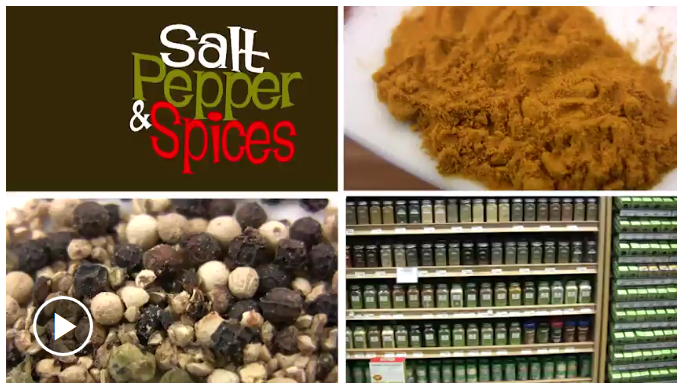 This is the ultimate guide to working with SAF's (seasonings and flavorings) that will keep your taste buds happy! Beans are a staple in a vegan diet, but they CAN get boring. This little gem of a cookbook can help! This is a written guide that goes hand-on-hand with the videos you'll find in class. Discover how to prepare beans, how to cook and flavor them, and also some of our favorite yummy recipes for entrees, side dishes and more, using beans and legumes of all colors, shapes and sizes. Go beans! In this fun little eBook, we’re going to cover how to pre-prepare whole grains so they’re ready and waiting for you to use in any meal you want to whip up. This is a written guide that goes hand-in-hand with the videos you'll find in class. 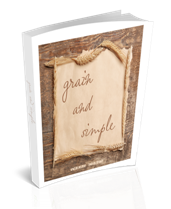 We'll cover the entire process of working with whole grains from start to finish right here in Grain and Simple. You'll love these delicious videos with some of our all-time favorite salads that are tasty AND nutritious. 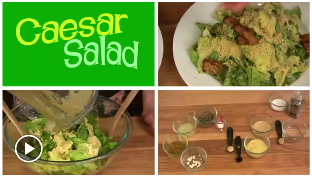 These videos include vegan Caesar and Spinach Salads (with a tasty garnish I picked up from my Mother-In-Law!) as well as my everyday deeeee-lectable salad with Sassy's Seedalicious Topping balanced in flavor and nutrition! (Our students LOVE this salad and can't get enough of it!) Also includes an oil-free salad dressing with a taste that's out of this world. Hubby Jeff has made a science out of keeping us in good stock with all the foods from the bulk section. He'll walk you through every step so you know exactly what to buy and in what amounts, how to package and store them for the long term, and how to keep it all organized! This guide will help you to not only create and maintain a large store of dried goods that you can rotate through your everyday cooking but also to prepare you for any emergency life throws your way. 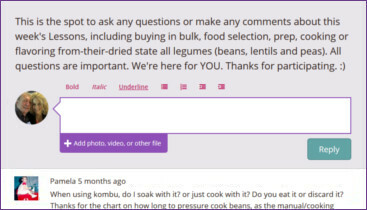 "I made the decision to move to a plant based diet but this required that I learn how to prepare and cook plant-based. This course has helped me do that. Now I shop the Sassy way: Find the fruits and veggies that are available and then make meals without a lot of recipe action. I loved this course and the videos were so helpful. I have told a number of friends about it!" IF YOU DON'T WALK AWAY FROM THIS CLASS COMPLETELY INSPIRED AND EXCITED ABOUT YOUR NEW WHOLE FOOD PLANT-BASED COOKING SKILLS AND GETTING YOUR KITCHEN ORGANIZED, THE CLASS IS FREE. Here's how it works: Join us in class. Complete the coursework. PLAY! If you aren't 100% satisfied with your experience with our materials, the tips and advice, the online classroom -- the entire experience! -- you'll get a 100% refund. If you'd like, I'll even hop on the phone with you for a free 1-on-1 private coaching session just to be sure you're getting the results. Why would I do this? 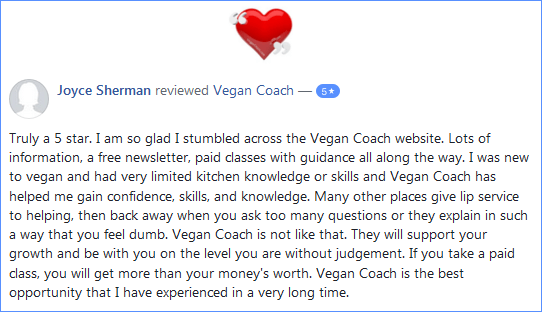 Because when you team up with us, you join our ever-growing Vegan Coach family. Purchase with a credit card or Paypal. Choose the secure option that is familiar to you so your online shopping experience fits your comfort level. And since every transaction is secure, you can feel comfortable with your purchase. "I am delighted to over the moon and back with this veg-u-cation! I am sucking up the information faster than one could soak a batch of quinoa! "I took on this course with a 'tire kicker' mentality. Thought there was a good 50% chance when pushing that "purchase course" button that I would be looking for the refund. Please know that this course really REALLY exceeds my expectations! The videos are THE BOMB! This class is SO worth the investment! I am elated that I took the leap! 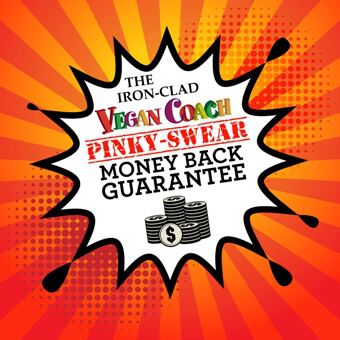 "The presentation, organization and formatting of this wealth of vegan knowledge (both video and written) sealed the deal after only two weeks in. I like how all is broken down into manageable sections and how you don't make all the material available at the same time. That would have been a Lyn Train Wreck - binge entire course in one sitting, then crash and burn from information overload. "I also like how the materials are available after the course. I love how you both are there to hold my hand. OMG - you guys are not only vegan lifestyle educators...but also therapists for vegan "grasshoppers!" LOL! "Thank you for all the wealth of information!" Q: I've been vegan for a while. Is this course for me? A: Maybe. Do you feel you have a good handle on which foods and ingredients make up a vegan diet and how to purchase them affordably? Is your kitchen (cupboards, fridge, freezer) organized so everything has its place? Have you established a routine so you know how long you've been storing them? Do you have bulk foods in a private stock at home and do you rotate them into your everyday cooking? If you answered no to any of these questions, then Vegan FUNdamentals might be perfect for you. A: For those who share a kitchen with others, or live in a household where people prefer the status quo, then you will need space that is devoted to your cooking needs, for the most part. As you will see in the videos in this course, all the cupboard space you need is actually quite simple and doesn't take up much space. Plus, when we get into stocking up a personal store of foods, you won't be keeping these in the kitchen or even the pantry, if you have one. Sometimes you might spend more than that reading other students' posts, but sometimes you might spend zero time on that and get caught up the following week. Reading other students' posts isn't a requirement, but you'll learn A LOT from others which is a big benefit of our class format. Super user-friendly and fun! Q: Is this course adaptable to vegetarian (with eggs/dairy)? For instance, in Vegan FUNdamentals! you'll learn all about how to shop for and prepare all of the basic ingredients that make up a vegan diet as well as how to cook them up and whip them into easy meals. You certainly don't have to eat ONLY these vegan ingredients. But if you add them to your current diet you will learn to be more comfortable with these fiber-rich, calcium-rich, and protein-rich foods that form the basis of a healthy vegan diet (which will make it easier for you down the road if you'd like to take things further). Q: I’ve been vegetarian for six years, and I know how to cook beans and whole grains and vegetables and those sorts of things. What I especially need help with is learning how to combine flavors that complement one another. If I make something and it tastes kind of flat, I know it needs something but I don’t know what it needs. That’s what I need help with. Would that be covered in your FUNdamentals class? A: If you have the basics of vegan cooking under your belt and you would prefer instead to focus on the freestyle cooking end of things, then our advanced cooking class might be a better fit for you. While Vegan FUNdamentals covers the basics of how to season and flavor your food, our more advanced class Cooking With Sass! goes far deeper into this topic. We spend two weeks on this alone. You will, without a doubt, find this valuable if your goal is to learn how to properly work with flavors NOT ONLY in cooking freestyle BUT ALSO so you can fix any recipes that you make that need a little TLC. Because let's face it, there are a LOT of recipes out there but not everyone who creates them has a good handle on how to bring balance to a dish. And it's not until we complete the making of the recipe (and all it involves: shopping for, prepping, measuring and adding the ingredients, cooking) that we can truly see what the author of the recipe had in mind. It's so hit or miss! And many times it's due to something as simple as differing tastes. I mean, it's not anyone's fault if your tastes differ from the author of the recipe. So knowing how to fix the flavors becomes super important. It sounds like you're already a creative cook and have been for years so freestyle cooking is natural for you. What you'll want to learn, though, is how to translate that to whole food plant-based cooking. This is exactly what Cooking With Sass! can do for you. A: Ask below in our Facebook commenting section or shoot me an email through our Contact form. Alternatively, you can click here to Chat w/the Coach. Sign up for an available 20-minute time slot, and I'll give you a call to answer any questions you have about the class OR help you determine which of our courses would be a better fit for your current needs and plant-based skill level. Thanks! "Before the course I tended to eat the same things over and over. I wasn't eating a good range of foods. My kitchen cupboards were jumbled. I didn't buy in bulk. I only ate tinned beans. "Since taking this class, my kitchen looks really cool! I've rearranged everything and made it into a 'vegan' kitchen. I know where everything is and what I have to play with. I've got into a routine of soaking/cooking beans/grains and always having some cooked in the fridge and ready to use. I've now started buying in bulk once a month and shop for my fresh veggies/frozen fruit when I need to. Basically, I'm organised! "Everything is so simple now. I look forward to every meal. I don't have to stand scratching my head wondering what to eat, or whether I've enough time to follow a recipe. Everything I make is scrumptious as I like all the bits that I put in. 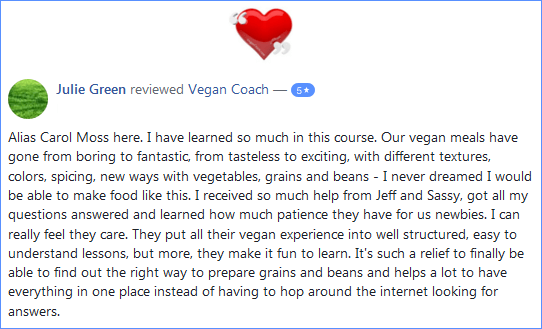 "This is a fantastic course to get anyone who wants to live a healthy and holistic vegan lifestyle up and running in next to no time." You're going to love this simple (yet thorough) and fun vegan cooking and kitchen organization course. Can't wait to play with you! p.s. Remember, you can retake the course at any time at no charge. And as with all of our courses you have our personal money-back guarantee so you have nothing to lose. Thanks, and we hope to see you in class! "Oh my goodness. I'm honestly quite taken aback. Yesterday, in the middle of a busy day, I came into my transformed little kitchen, full of all sorts of beautiful food. Mysterious new whole grains, colourful pulses, big seeds, little seeds, teeny seeds... all sorts of nuts...and a fridge full of fresh vegetables. Nothing in a tin. Now I can pull a dish together totally spontaneous and stress-free that looks gorgeous and tastes super delicious. The thing is, I've never been interested in cooking! So how did you make that happen? I can't praise your whole approach to 'playing with your food' enough. I'm really glad I stumbled on Vegan Coach. Your course is just brilliant." "I really loved this course. It was very interesting. Also, the videos are amazing. The way I cook now is so very different to the way I cooked before and my food tastes so very different. This course was truly amazing. I would recommend it to all Vegans. Congratulations on such a well presented course." "Before I took this course I was shopping without any plan and usually only for 1 or 2 meals at a time. This course is practical and manageable. Do it!" "I feel really good about the changes we are making. We are exploring new flavors, and textures. I feel we are making positive lifestyle changes that will be helpful not only to us, but the environment." "This is the best course I have seen to learn vegan. Though I usually prefer books so I have something in my hand to refer to without going online (I can't get the best internet), the videos were helpful to actually see how things work, since you can't get that in a book. Overall I would recommend this course (and your website!) to anyone wanting to learn how to eat vegan in a simple, straight-forward sustainable way." "Before I took this class I was cooking food out of boxes and eating premade meals. I only used salt and pepper for flavour. And beans? What? I didn't have a clue. Now I plan my meals a lot better. Plus, I have a pressure cooker. And the best part is, I use it! The information in this course is easy to understand and then put into practice." "This course has benefits for non-vegetarians and vegetarians alike. It gives us basic concepts for incorporating valuable nutrients into our diet and saving time and money!" "I loved how all the fundamentals were explained..tools, storing, appliances, beans, spices, etc. Now I know what everything means! I like that I can go back and look over the materials anytime if I need to. I'm much more confident now that I know the basics and am happy to freestyle my cooking to suit my tastes and not follow a recipe meticulously." "I live alone and find it hard to cook something exciting and/or different for one. I was feeling stuck in eating the same foods over and over and not sure how create new meals. I was picking up items as I felt the urge. Now I shop once a week and purchase items that are in season and by price. I loved the humour and presentation. Thank you." "I'm working on being more mindful of what I'm buying and what we've got on hand for quick easy meals. I have pre-cooked more and a larger variety of grains and beans. I love the "no-recipe recipes", especially since I can never seem to follow a recipe as-is!" "While I have been vegan for nearly 4 years, I was eating a ton of processed foods. My kitchen was extremely disorganized. Since taking the course, I have been trying to eat whole foods a lot more often. And while my kitchen has a long way to go, I'm working on it."